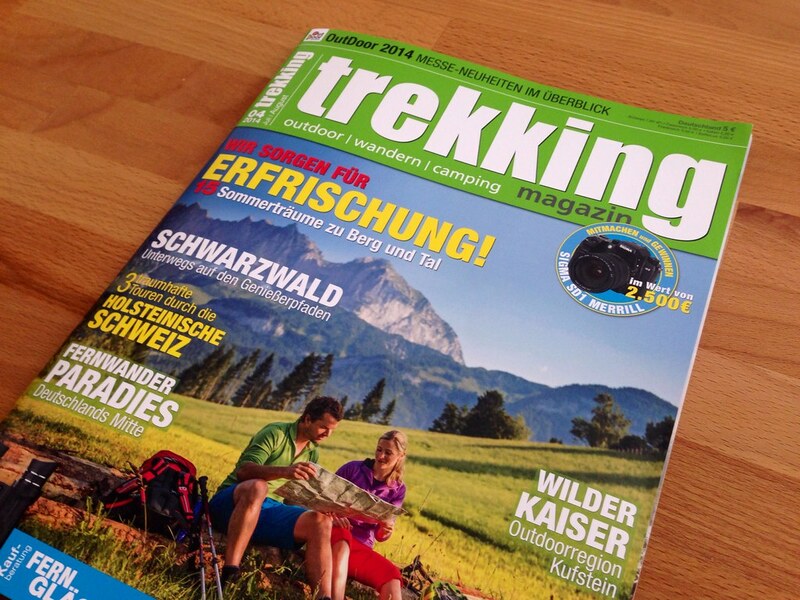 Available since last week Friday the new trekking Magazin 04/2014 has many great articles in it! 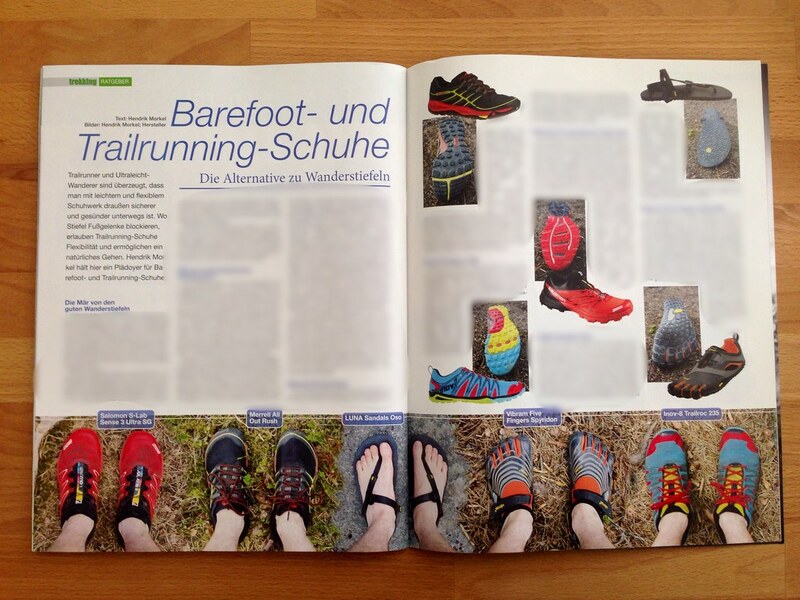 Very happy I am that they printed my barefoot and trailrunning columne without changes - in it I write black on white what the majority of you already know: That hiking boots are not the best footwear for hiking and that with a lighter, more minimalist shoe you can have a healthier stride and more enjoyment in the outdoors. I hope there will be many boot wearers who will try out some of the suggested shoes or similar ones! As always there is plenty more in this issue which will keep you entertained for many hours and inspire you to go outdoors. Pick up the current issue at a Kiosk or take out a subscription - this time even with the chance of winning a Sigma SD1 Merrill camera!